FREE Infant Pacifier Thermometer From Walmart! You are here: Home / FREEbies / FREE Infant Pacifier Thermometer From Walmart! 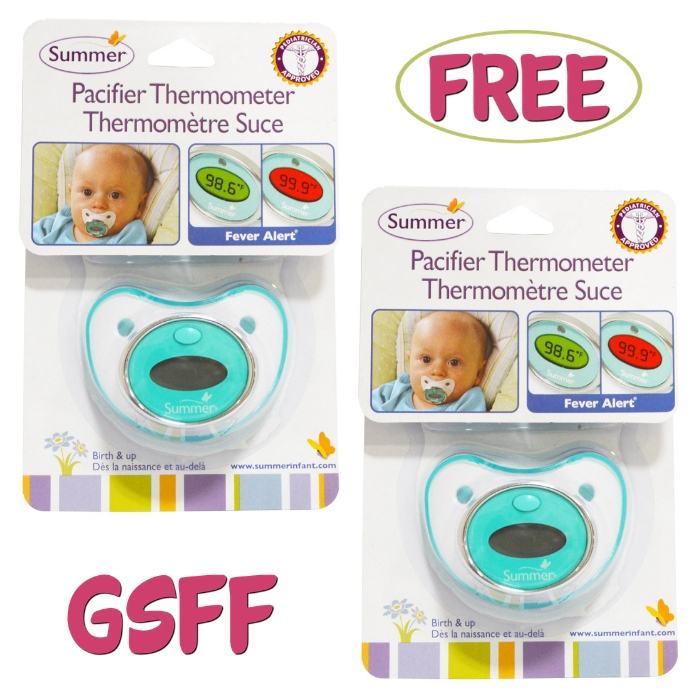 Being sick isn’t fun, so make sure your child is comfortable at all times with this Summer Infant Pacifier Thermometer! Don’t miss your chance to grab this FREE Infant Pacifier Digital Thermometer from Walmart for new TopCashBack members! This thermometer is easy to use and convenient to monitor your little ones’ temperature. It features a convenient “Fever Alert” glow that allows you to get a night-time reading without disturbing your child. The protective covering is perfect for clean storage/travel and the auto power-off is great to preserve battery. Just spend at least $11.99 or more on Infant Pacifier Thermometer through this custom TopCashBack page and get $11.99 in cash back! Add Infant Pacifier Thermometer from Walmart to your cart for $11.99 or more and head to checkout. You must spend at least $11.99 to get this deal. Pay $11.99 or more. That’s it! The $11.99 will post to your TopCashback account within 14 days, and the amount will become payable within 14 days. Cash back can be credited straight to your checking or PayPal account.